I don’t often write about serious Bordeaux reds. Not because I have an aversion to them, it’s more because I don’t get involved in the en primeur or auction/investment scenes. I prefer to drink my wines! 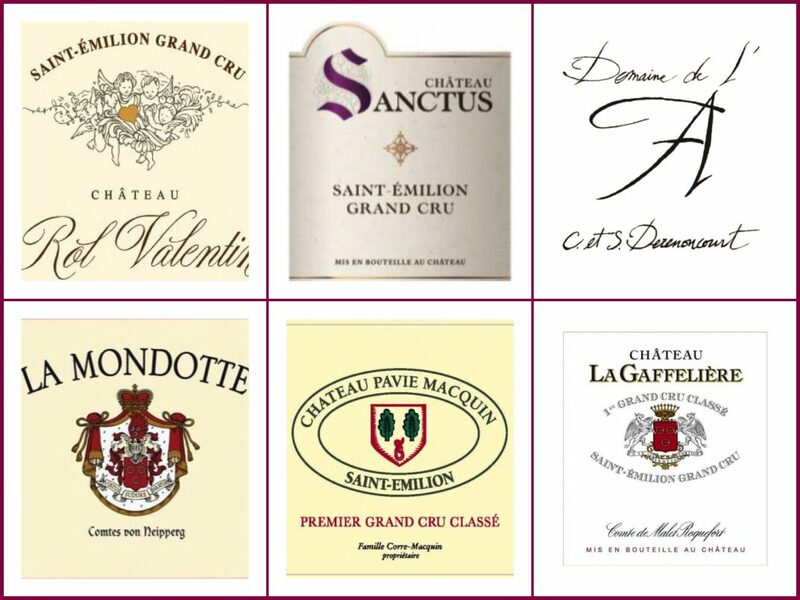 Also, top Bordeaux Cru like St. Émilion commands prices ranging from expensive to stratospheric. However, looking back through my St. Émilion tasting notes made over a decade and more I found for some of them a common quality denominator. Not price, not points and not vintage. Instead, a famous winemaking consultant called Stéphane Derenoncourt. 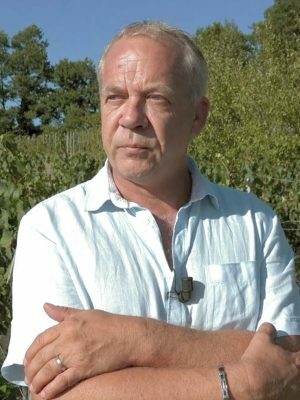 Stéphane Derenoncourt has wineries clamouring for his services. Right-Bank Bordeaux, particularly St. Émilion, is where he established his reputation. Derenoncourt was born in 1963, in Dunkerque in Northern France, in modest circumstances; he is the son of a steelworker. Wine didn’t figure until at age 18 he hitchhiked down to Fronsac to work the 1982 grape harvest. During the eighties, he continued to work in vineyards and cellars and became self-taught. In 1990, he got the winemaking job at the prestigious Château Pavie Macquin. Recognition of his talents followed swiftly. He became a consultant in 1997 and has owned his estate, Domaine de l’A in the Côtes de Castillon, since 1999. One of his most famous creations is La Mondotte, revolutionary at the time as one of the first garagiste wines. In 1998 he was sorting out Inglenook/Rubicon in Napa Valley for Francis Ford Coppola (I wine I admire) and launched his Californian wines in 2009. In Italy, he’s in the Bolgheri with L’Argentiera and Campo Alla Sughera, and in the Veneto with Inama. Phew! Now Derenoncourt consults for 90 wineries worldwide, with his wife Christine and a team of assistants. In addition to various Bordeaux Châteaux, there are projects in other areas of France, the USA and Italy. There are more ventures in Austria, Greece, Spain, Portugal, Lebanon, Syria, Turkey, Georgia, Mexico and even in the UK with Coates and Seely. A man in demand, how does he decide what work to accept? He says that he chooses projects where he can develop a strong rapport and be deeply involved. Winemaker consultants are oft accused of making wine according to some stylistic method, so the wines “all taste the same”. However, Derenoncourt’s technique differs from other consultants. He observes, tastes and adapts according to the winery, the style of the wine sought, the terroir and the vintage conditions. Derenoncourt insists he has no winemaking formula. Viticulture is an emphasis. Winemaking using biodynamic and organic practices fascinate him. He is firmly against chemicals, which he feels have ruined many vineyards, especially in Bordeaux. His estate at Domaine de l’A is biodynamic. Biodynamic and organic methods are also used at properties elsewhere, though these are difficult in the maritime climate of Bordeaux. Spraying is unavoidable in some years, but pruning and open canopy management help prevent disease, as do seaweed preparations. He does not seek certification because he does not want to be pigeonholed by specific techniques. Low yields are also a prerequisite, meaning severe pruning and green harvests. Derenoncourt likes old stressed vines that “suffer to give us complexity” and picks as late as possible for ripe grapes. He ascribes many wine quality problems to high yields and poor quality vines. In the winery, Derenoncourt uses minimal sulphur as a preservative. He isn’t a fan of fashionable super-cuvées or second wines, preferring to work with the produce of the entire vineyard and blend accordingly, though in practice this is not always the case. Over the years he has cut extraction, preferring to swap naked power for balance and longevity. So what about micro-oxygenation? Derenoncourt was one of the first to experiment with this technique, designed to soften tannins and add body. Now he feels that it’s a tool to be used sparingly, as such wines may mature too quickly. Ageing wines on their lees interests him because it introduces more complexity in the final wine, so there is minimal racking of the wines from their lees and plenty of stirring (battonage). His attitude to Brettanomyces, (or Brett), the spoilage bacteria, is that he tries to avoid it because it blots out terroir, but agrees that a little Brett does add complexity. Derenoncourt prefers using new oak barrels with only the lightest toast, to avoid marking the wines with excessive vanilla oak flavours, even when the demanded Château style is for 100% new oak. Finally, he neither fines nor filters the wines. He claims he is not a great taster but is a good drinker. So his wines tend to be food friendly. For his enjoyment, his preferences include the white wines of the Loire and the red wines of Burgundy as well as St. Émilion. Below are eleven Derenoncourt Right-Bank Bordeaux wines, shown on the accompanying map. Ten are St. Émilion; the other is from his estate. As is typical of the Right-Bank, all the wines here are dominated by Merlot, with Cabernet Franc generally in the primary support role rather than Cabernet Sauvignon. The ratio of the grape varieties grown at each estate is quoted below, but note that this ratio is not always the same as that in the final wine made. The vintages covered are between 2004 and 2015, so all the wines are on different stages in their maturity journey, and there will be vintage variation. Consequently, I’d caution against comparing one wine directly with another. However, given their longevity, all have years still in front of them. Derononcourt seeks to show how the terroir varies in St. Émilion, which is principally dictated by the presence (or absence) of limestone, gravel and slope. Without further ado, here are the wines, from a wide range of vintages. There is considerable variation in price, given different ages, reputations and quantities made. All these are available in the UK as single bottles. The stated prices are retail rather than “In Bond”, so include Duty and VAT. Auctions, while often a source of such wines, are not included. Château La Bienfaisance, St. Émilion Grand Cru. 2006. Château Cadet Bon, St. Émilion Grand Cru. 2005. Château La Gaffelière, St. Émilion Premier Grand Cru Classé. 2015. Château Tertre Daugay, (Now Château Quintus) St. Émilion Grand Cru. 2010. Château Clos Fourtet, St. Émilion Premier Grand Cru Classé. 2012. Château Rol Valentin, St. Émilion Grand Cru. 2015. Château Pavie Macquin, St. Émilion Premier Grand Cru Classé. 2010. La Mondotte, St. Émilion. 2004. Domaine de l’A, Côtes de Castillon. 2014. 60% Merlot, 20% Cabernet Franc, 20% Cabernet Sauvignon. The only non-St. Émilion in this list. Derenoncourt’s estate at Saint Colombe, bought in 1999, on limestone that extends into the nearby Côtes de Castillon from St. Émilion. A frivolous question: does his domaine name ensure that it’s the first one listed in the Yellow Pages? With these wines, Derenoncourt ably demonstrates terroir differences and shows there is no preset “winemaking recipe”. A couple of the wines are ultra-modern, less in accord with Derenoncourt’s stated philosophy, being marked by extraction and significant big oak. The best wines here show elegance, terroir and individuality. Excellence guaranteed. Now I’ve got to look through reams of old tasting notes looking for his influence at all those other properties. Where did I put them?